Find A Great Place to Stay in Southwest Colorado! Spend your vacation exploring our beautiful mountains, rivers and high deserts. Explore Mesa Verde National Park, ride the Historic Durango & Silverton Narrow Gauge Railroad Train, play in the mountains or just relax and enjoy the sunsets. 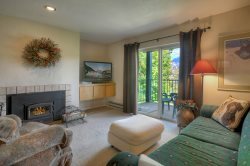 Vacation Homes located in the heart of downtown Durango. Vacation homes located a short distance from downtown Durango. Guests at these vacation rental homes have golf privileges to play the Glacier Club Valley Course (additional fees apply). The town of Hesperus is 10 minutes west of Durango. Mancos, CO is located 25 miles west of Durango and 10 minutes from the entrance to Mesa Verde National Park. Homes, condos and Townhomes located at Purgatory Resort. Homes and condos located within minutes of Purgatory Resort. Sheltered in a secluded mountain valley 8,000 feet above sea level, Vallecito Lake is one of the largest and most beautiful bodies of water in Colorado. Vallecito, Spanish for "Little Valley", and ancestral home to many of Colorados Ute Indians, became the name of the sparkling waters of the lake it surrounded. Located in the Southwestern part of the state just 18 miles from Durango, Vallecito provides a perfect base for enjoying the Four Corners area and its many wonders. Want to spend your vacation overlooking a lake or listening to the river rushing by. Properties that allow your four legged friends. Additional fees may apply. Click on the Featured Specials below to View Current Special Deals and Discounts. PLEASE NOTE: Offer limited to new reservations only. May not be combined with other special offers. Subject to availability. Some restrictions may apply.